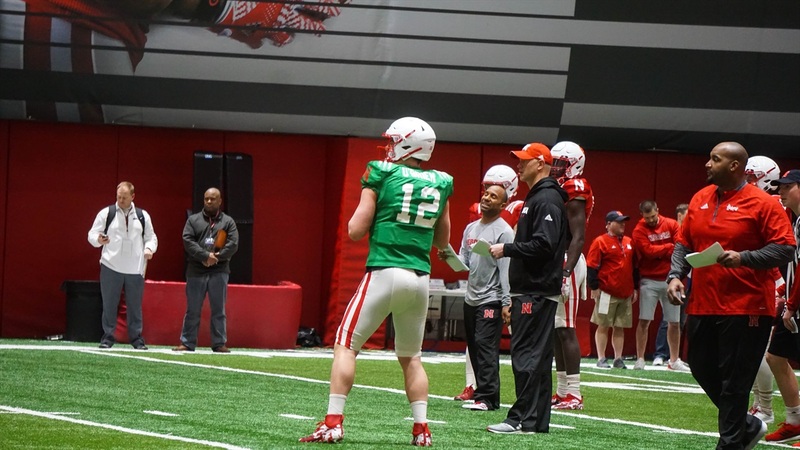 On Saturday, Nebraska was hosting its second junior day of the past two weeks. The first one was loaded with talent, and the second has a good group as well. However that wasn’t the initial thing that I took notice of after practice today. Today also happened to be a former-player day of sorts. When former Nebraska running back and current running backs coach Ryan Held was asked about the turnout, he lit up. “The brotherhood here with the former Husker guys is awesome," Held said. "I tell you what, when you look at them even today, we had some dudes. There are some guys that look good. When you see Chris Kelsay and Adam Carriker, plus those offensive linemen and everybody else, we had some really good players here. That’s our job as coaches when we go out recruiting. Find guys that will have good length, toughness and physicality to change the culture here. It’s all about the recruiting and the hard work we put in to get them here. Once we get them here, we have to develop them, make them tough. So, when we go out there teams know when they play Nebraska [that] they are in for a physical game. Nebraska is in such a unique position that they would have 90-to-110 former players show up for a practice, but that is how many Held says were on the list. Smart programs capitalize on those types of advantages and Held was asked what exactly that shows recruits when they can see that type of presence from alumni. Held also said that they wanted the recruits to see individual work, not just make it a full scrimmage today so they could see them coach and teach, so if they decide to come here, they can see the coaching interaction and how the practice works. They did tackle live to the ground in that period except when going toward the sidelines. There are a couple of high-profile running back targets on campus today, Breece Hall‍ and Thomas Grayson‍. So, how involved does Held let the recruits get when they are here? “I want the recruits by me," he said. "I want them to know what they are dealing with when they come here. They will deal with all of us, but I’m going to be their position coach. The thing we are going to do here is we won’t be car salesmen. We aren’t going to be people that we aren’t. What you say out there today is who we are. That down-to-earth approach to recruiting has served this staff well so far in recruiting to Nebraska. It has been mentioned by multiple players that came in during the 2018 recruiting class and it is something that sticks out to the 2019 prospects I talk to as well.